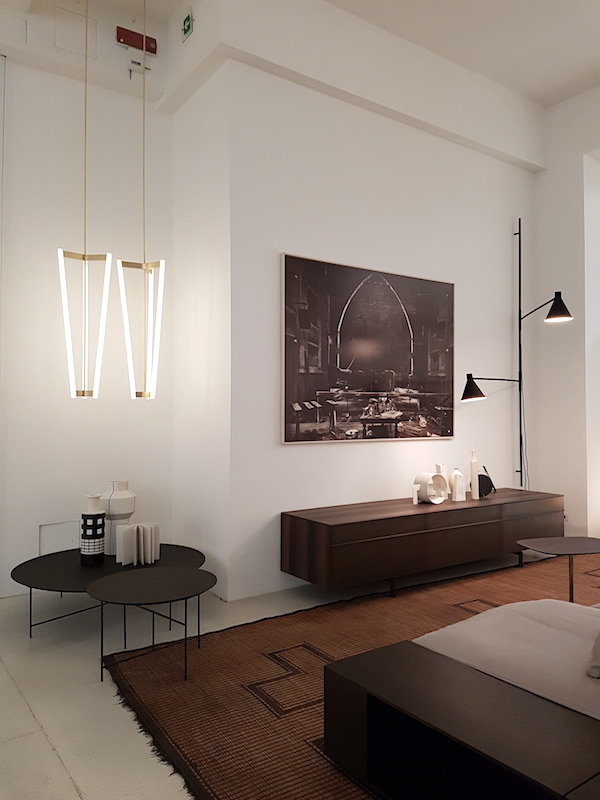 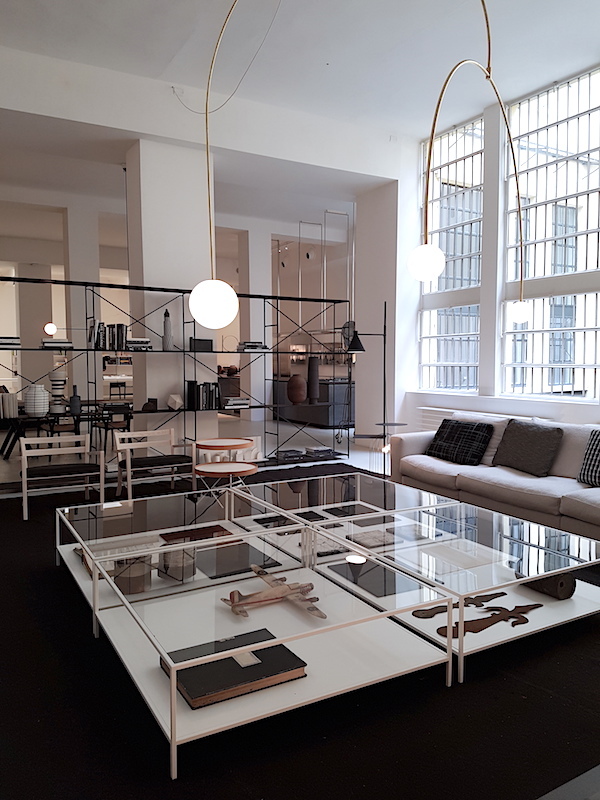 In my previous post I showed the amazing De Padova store in the heart of Milan, when thinking of De Padova, I think Boffi and Salvatori. 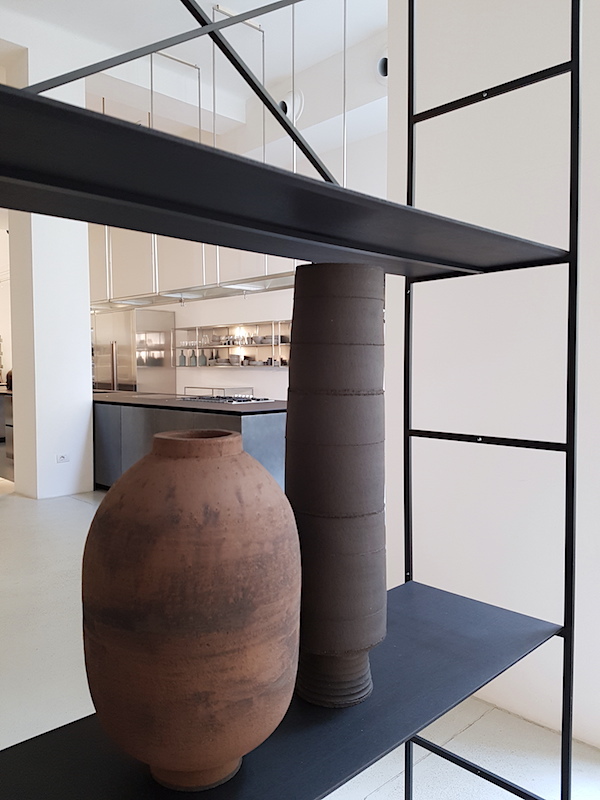 Last year I had the honour to work both with Boffi and using Salvatori's Plat-eau in a production I did together with BeeldSteil for a Dutch magazine. 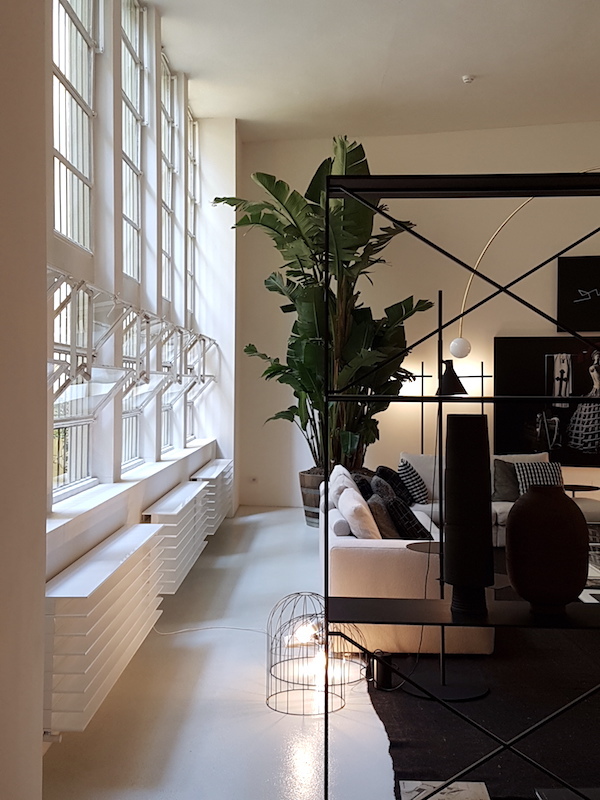 In Milan. 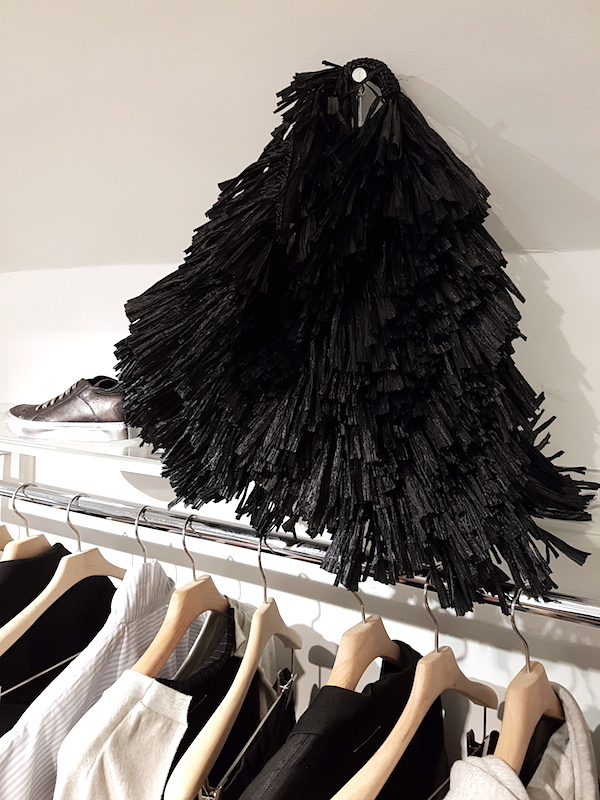 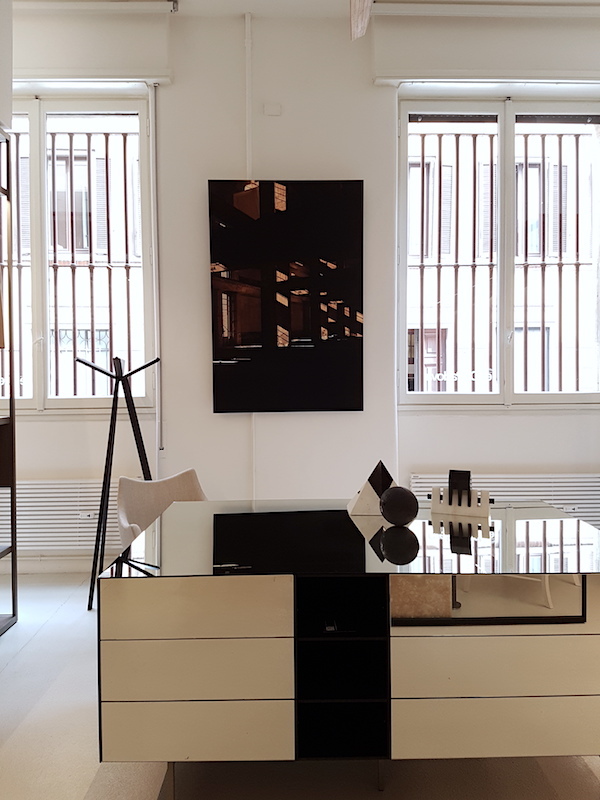 Salvatori could be found at the square in front of the Boffi store in the heart of Brera, another must see if you never visited, and it turned out to be one of my highlights. 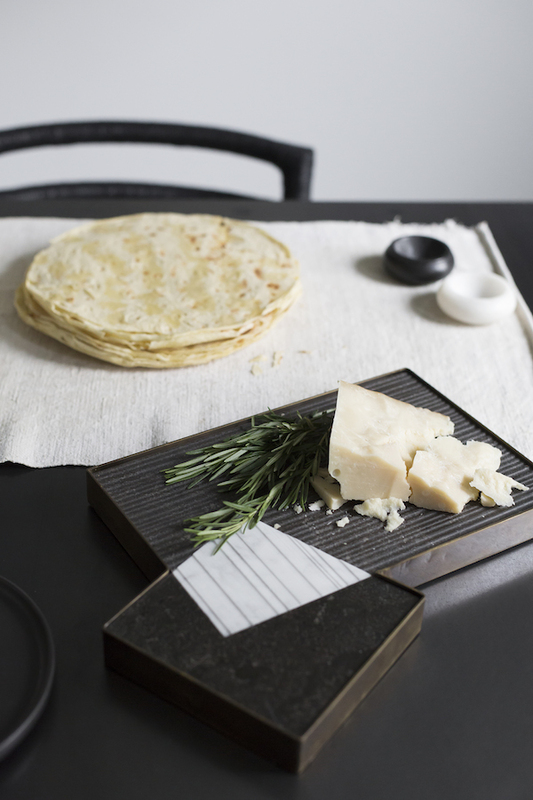 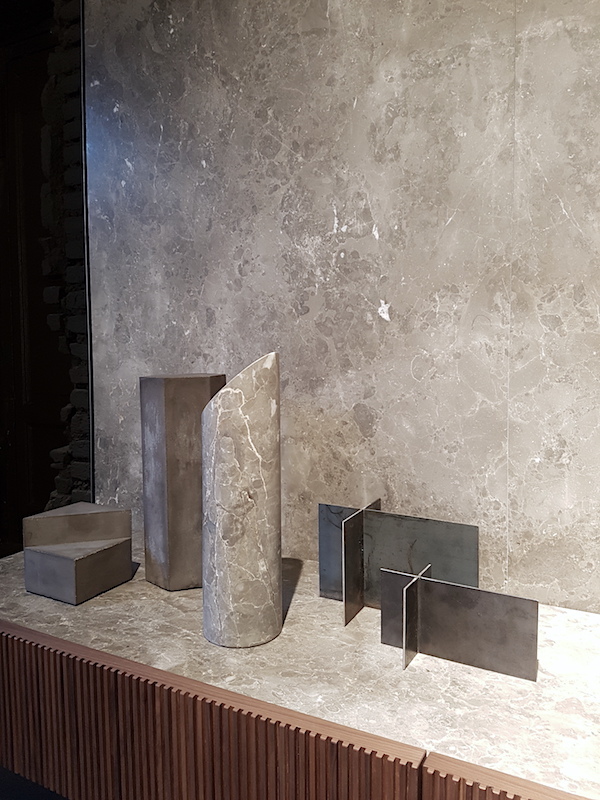 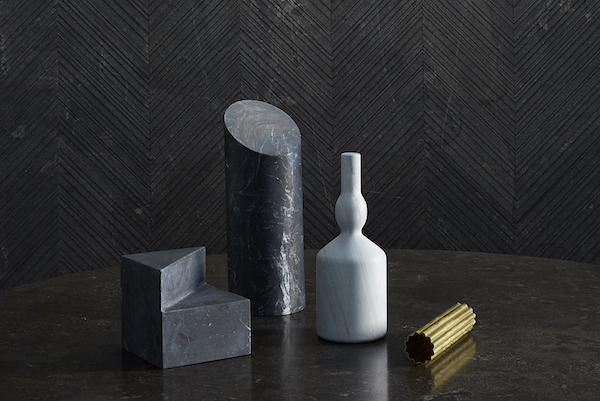 As you might know I am a huge fan of colder materials such as steel and stone, Salvatori is know for it's high quality natural stone and marbles and is thus right up my alley. 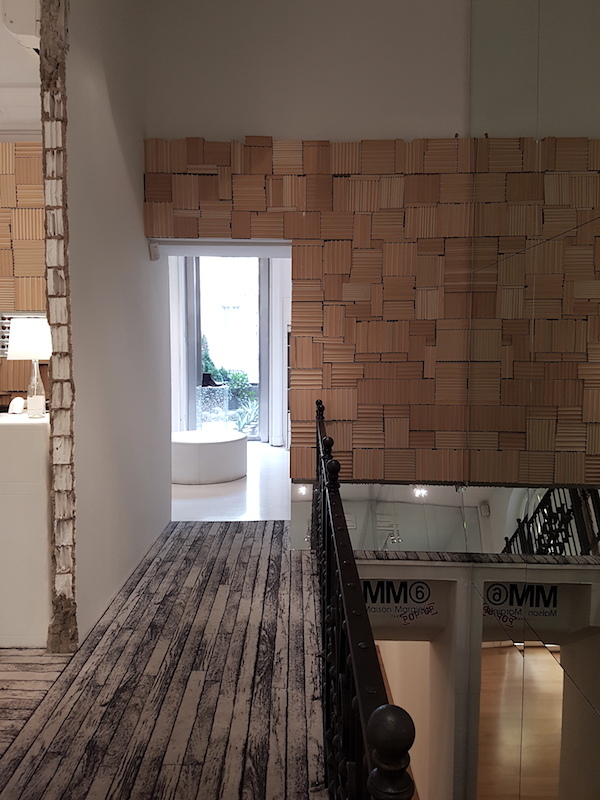 I really enjoyed wandering through the small rooms and admiring the different objects, tiled walls and different surfaces. 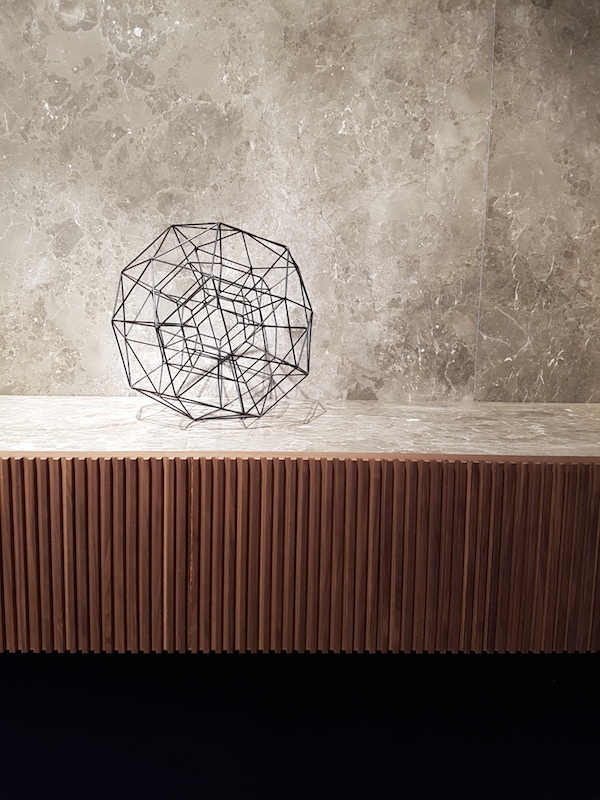 “Love Me, Love Me Not” is the new table collection Salvatori created together with Michael Anastassiades, presented at this years Design week. 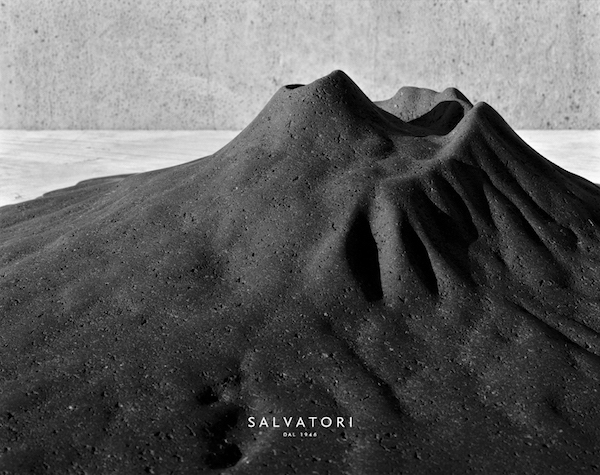 The collection is comprised of two dining and two side tables and is the third series of tables produced by Salvatori as part of their growing presence in the Home Décor sector. 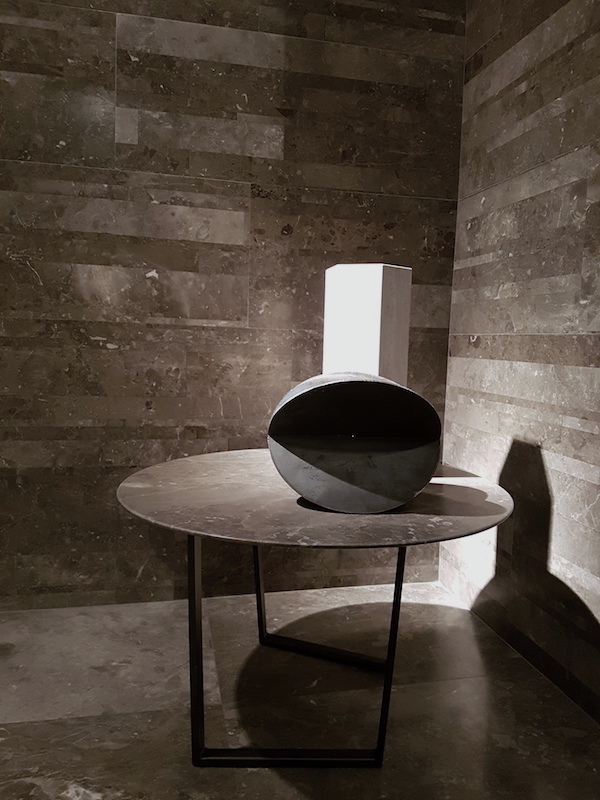 Instead of the highly polished look often associated with marble, the designer chose a matt finish, to bring a more contemporary touch to the stone, highlighting their specific qualities through this subdued process. 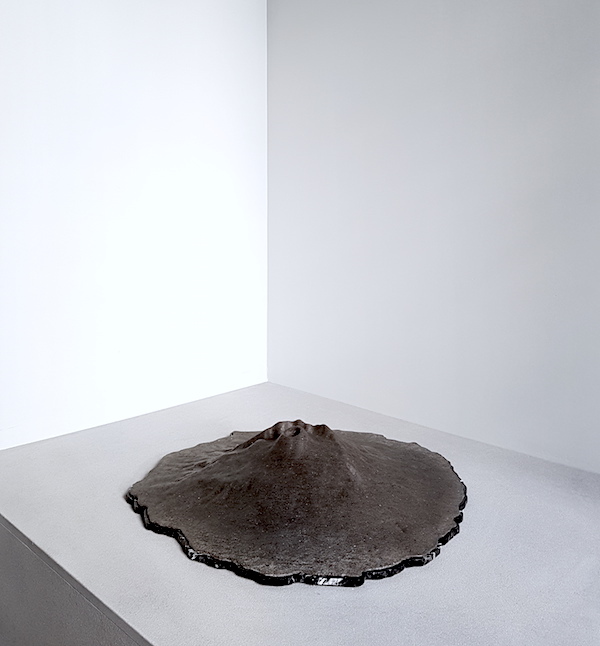 In addition to the tables Michael wanted to answer the question on what to place on the tables, drawing on his fascination with Suiseki, the ancient Japanese art of stone appreciation, he envisaged a trio of limited edition volcanoes made from Basalt, not only for its obvious geological link but also for the darkness of the material itself. 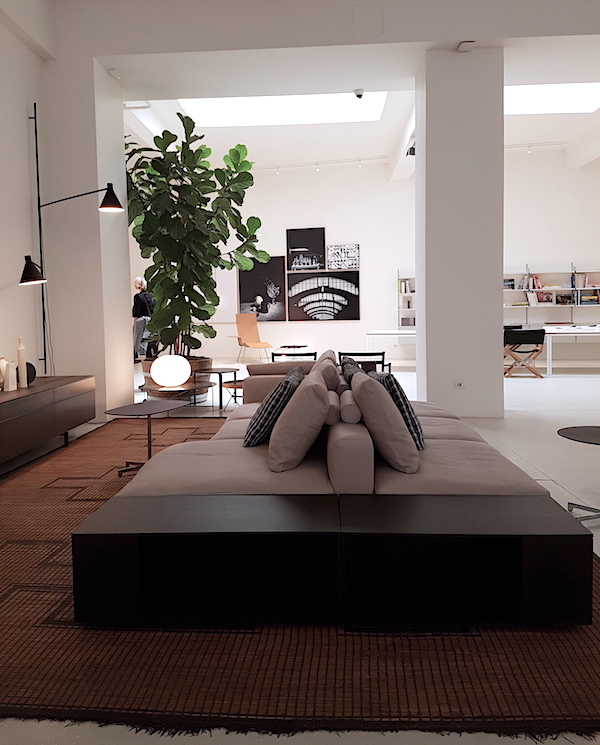 The thing I love about being in Milan for design week you will always come across something unexpected, a gallery, one of the many expositions for designweek, or a store that makes me curious and wanting to explore. 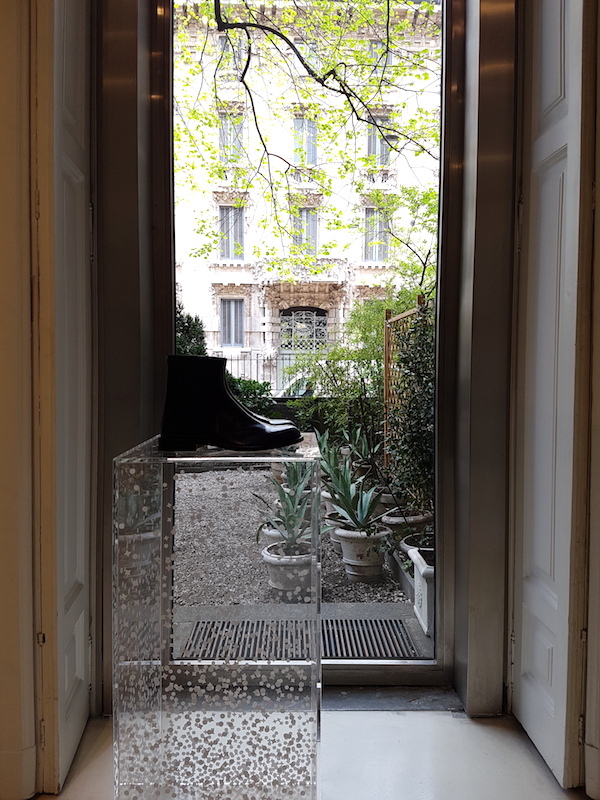 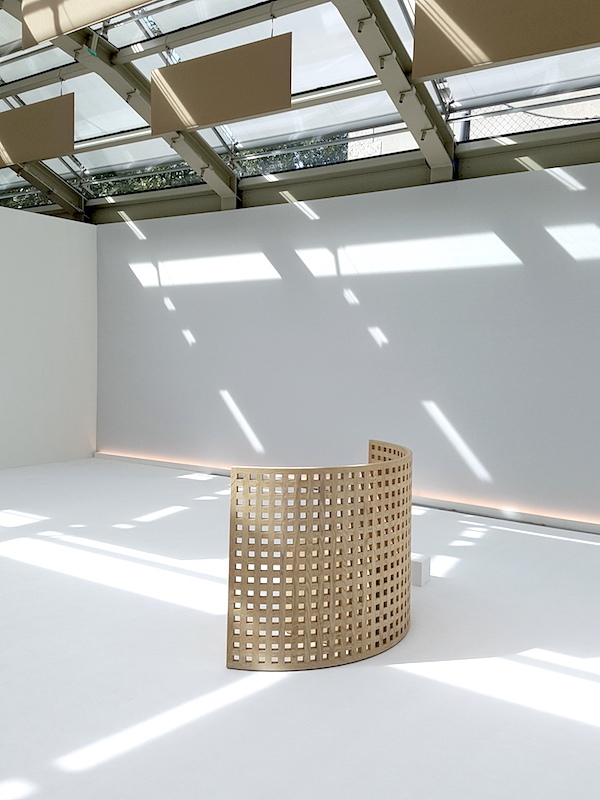 On our way to the COS and the beautiful Villa Necchi with it's amazing Wander from within exhibition I came across Maison Margiela and thought it looked amazing, I especially loved the pedestals out of glass with the many golden dots and black paintwork, what do you think? 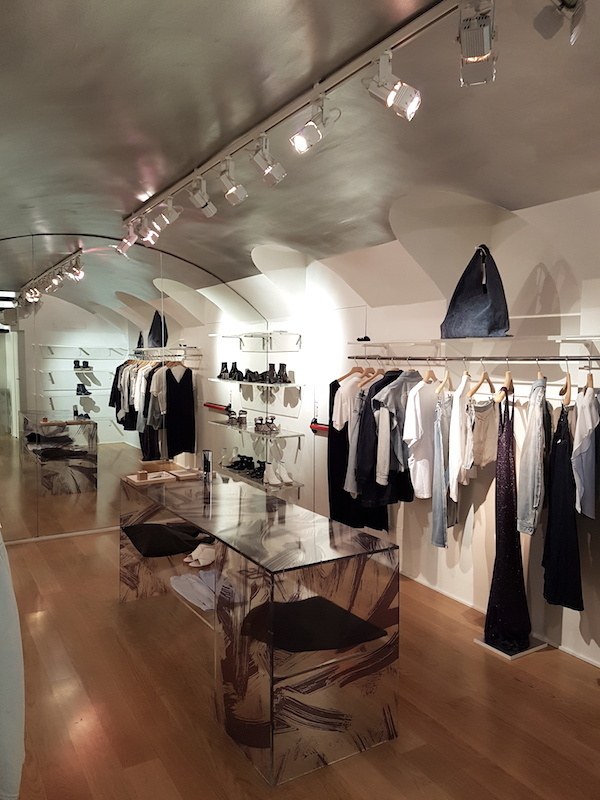 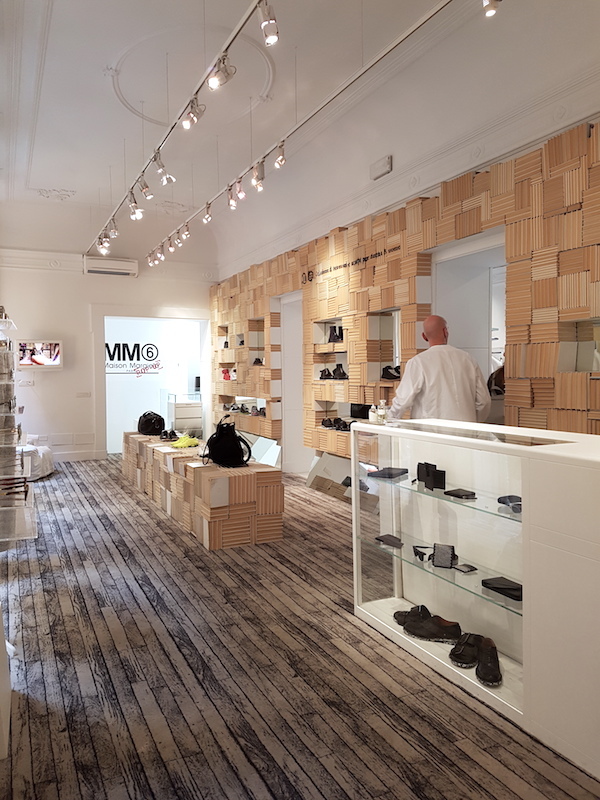 Let me show you the amazing 'De Padova' flagship store I visited in Milan! 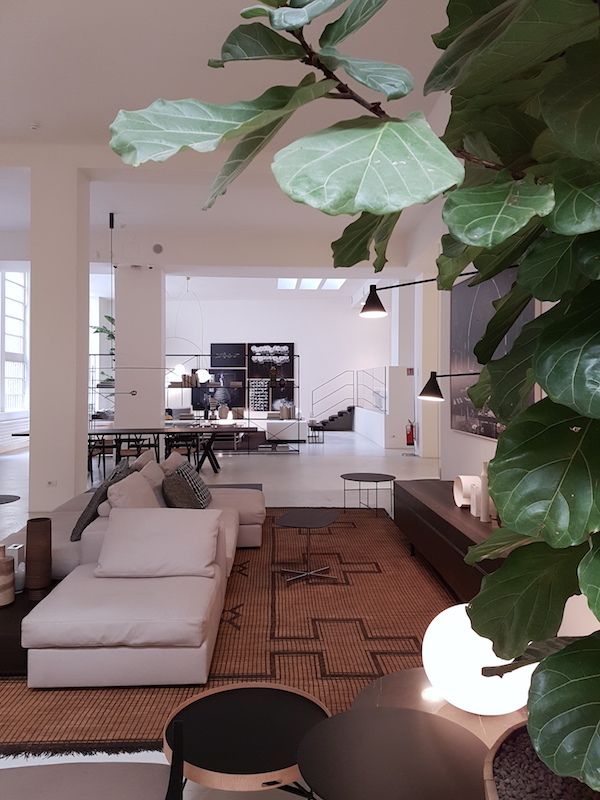 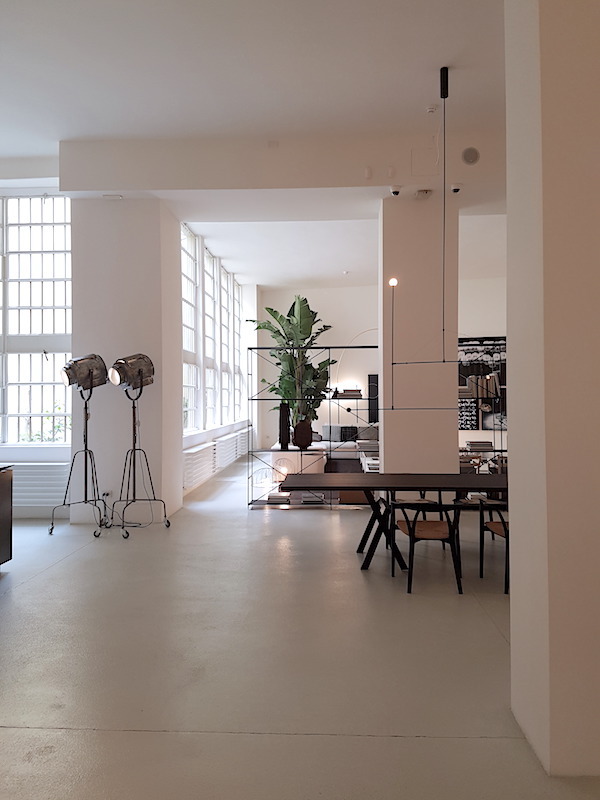 I previously mentioned the Italian brand, that since late 2015 is collaborating with Boffi, on the blog when visiting the opening of the Rotterdam store: Boffi X De Padova The Milan showroom shows the collection in an impressive industrial loft with two levels of 1100 square meters, a green inside garden and huge windows. 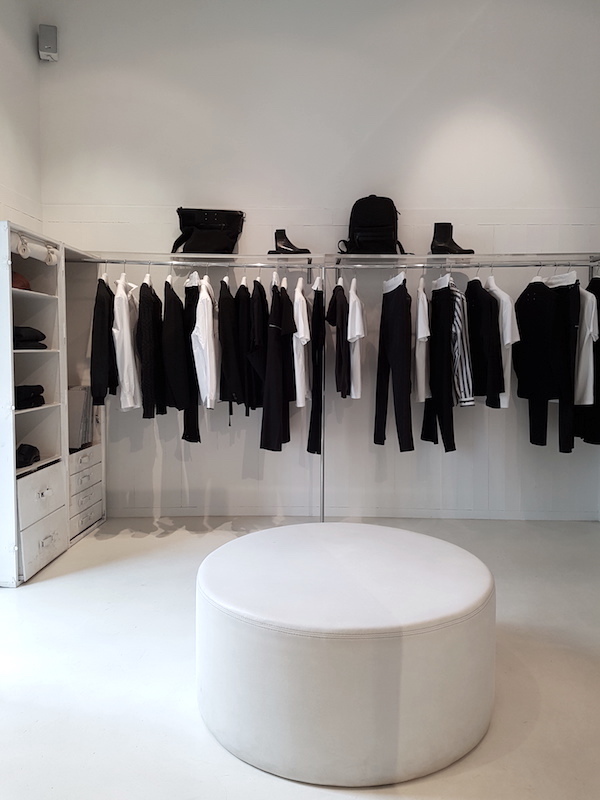 At the store everything is available to, led by an internal team of architects, realize an amazing design project. 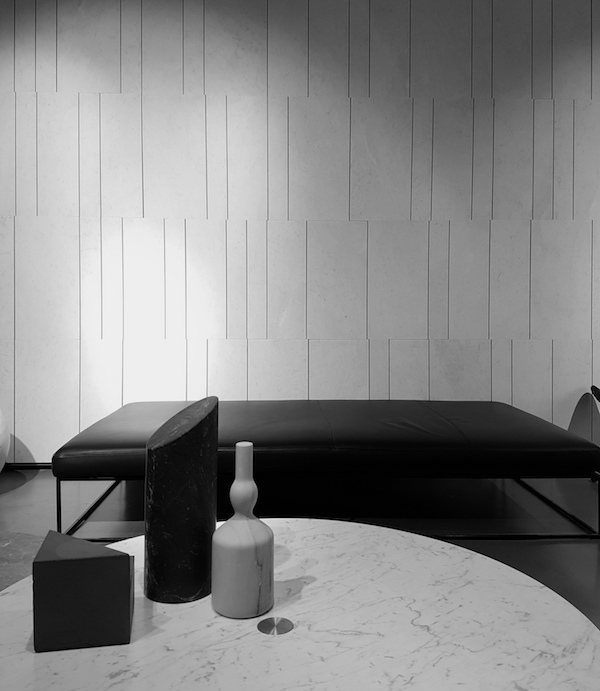 I visited the store twice with and the second time we took the time to sit on one of the couches to fully 'absorb' it all. 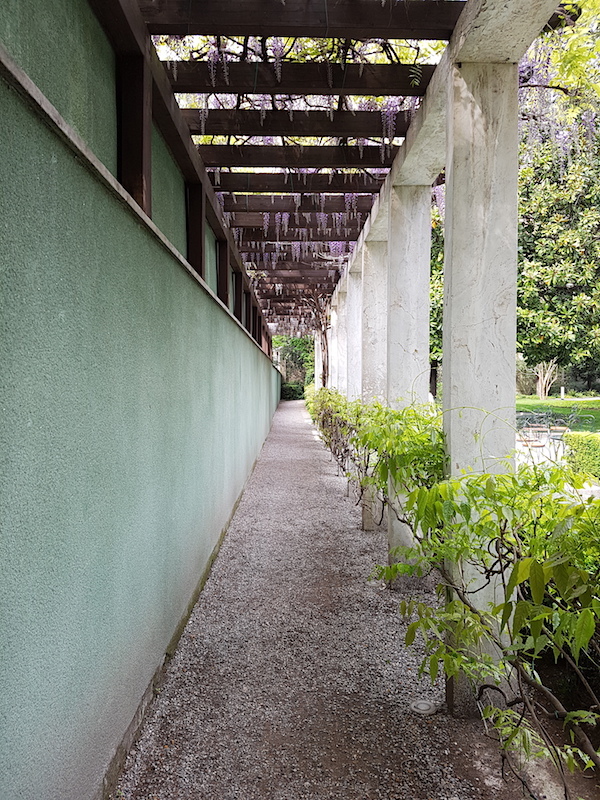 Places like this make my heart beat faster and my imagination go wild. 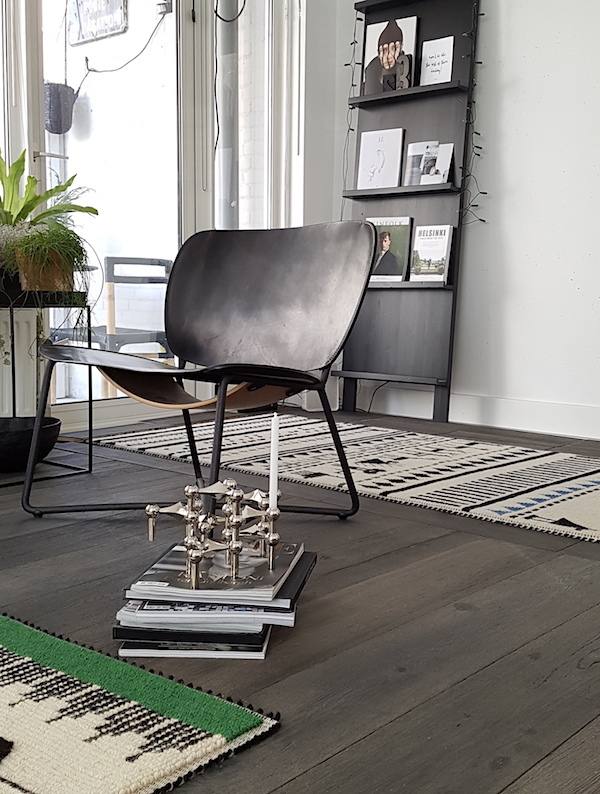 I was extremely impressed by everything and especially by the latest addition to the collection, the beautiful RIG modules. 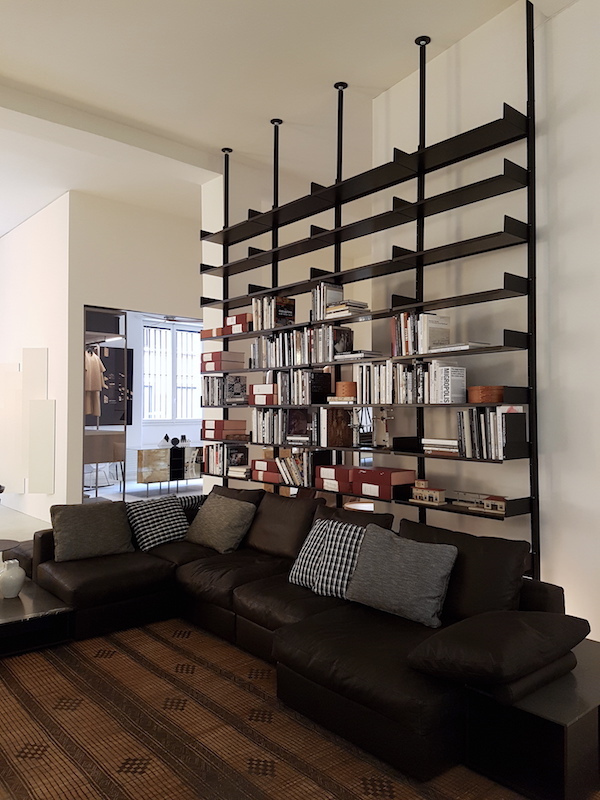 I will dedicate a separate story to them, but I can tell you I wouldn't mind a few meters in my living room to storage and display my most treasured objects. 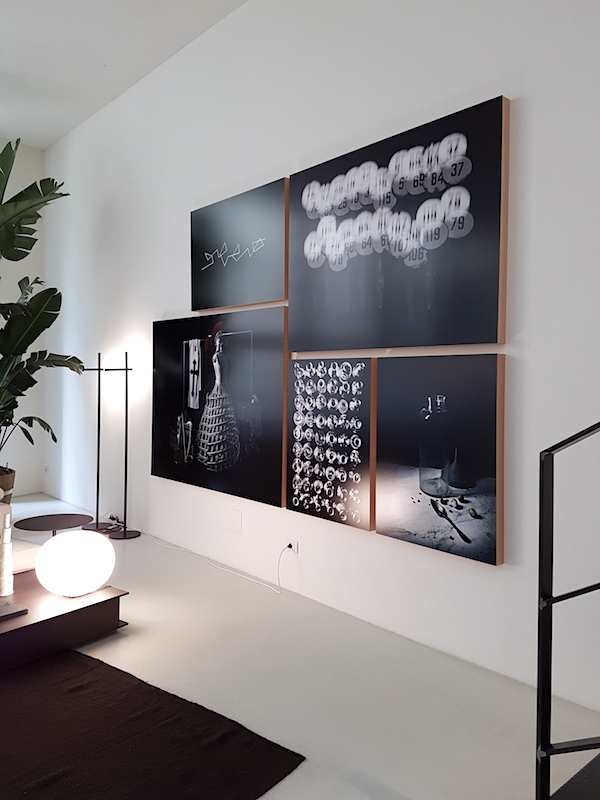 Earlier this year I had the pleasure to work with Brokis for the trendstand I designed on commission of IMM Cologne , you might remember the lamps I used in my stand, a roundup of all posts can be found here. 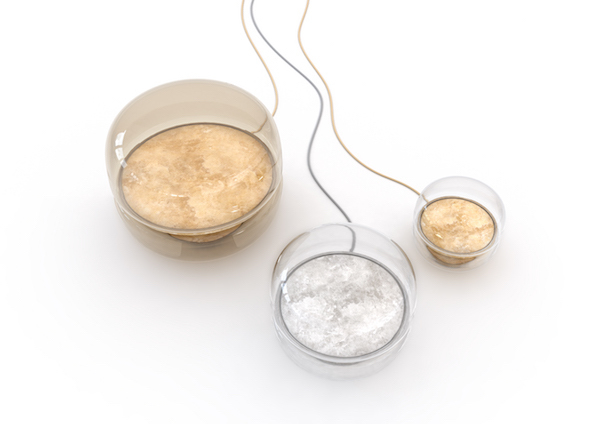 At this months Salone del Mobile – Euroluce, Brokis launched 'Macaron', a new collection of table lights by designer and Brokis art director Lucie Koldova, the Macaron table light draws its inspiration from the famous French meringue confection and comes in three sizes, the largest doubling as an impressive floor light, and offers a selection of refined marble and Brokis glass colour option. 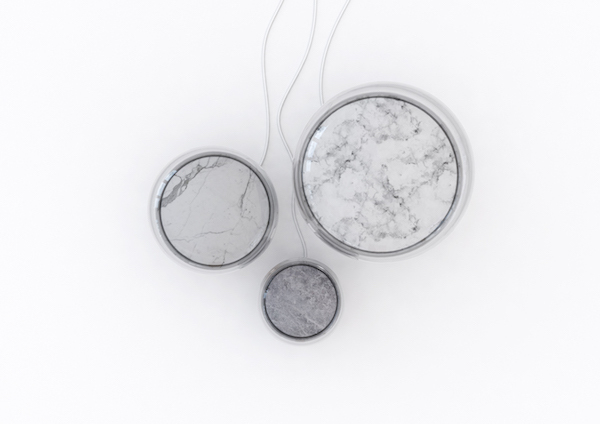 I am once more in love with their lamps and especially love the combination of glass and marble. 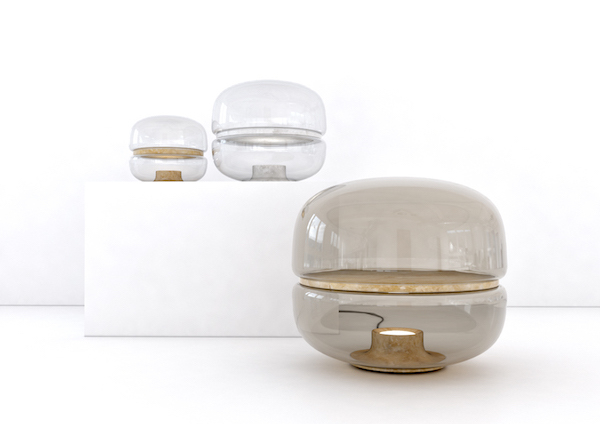 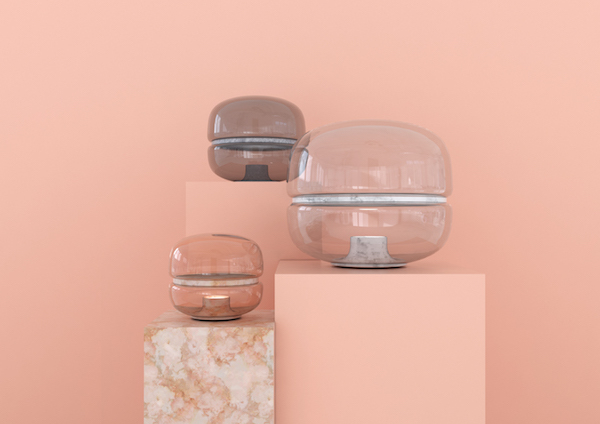 Brokis: "The 'Macaron' table light pays homage to the beauty and complex textures of crystalline stone by showcasing it in opposing domes of delicate handblown glass. 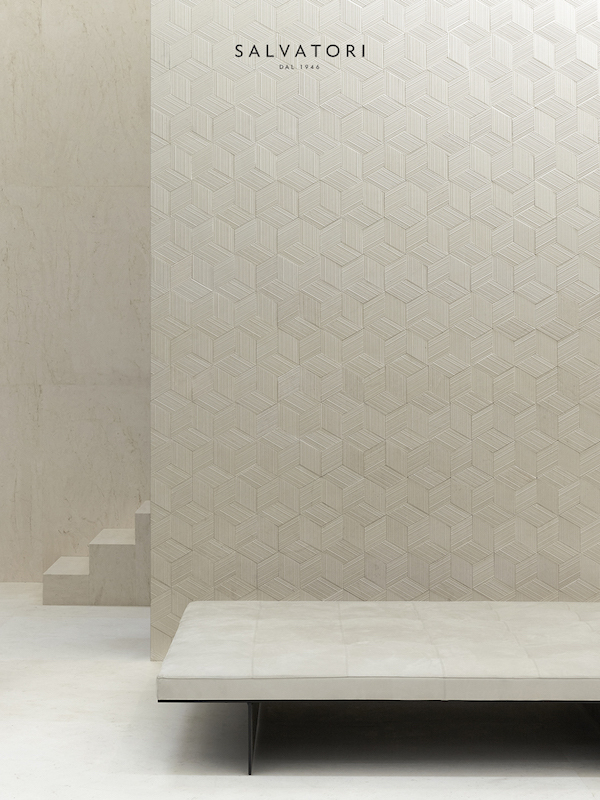 As the name implies, the poetic yet striking design draws its inspiration from the famed French meringue confection. 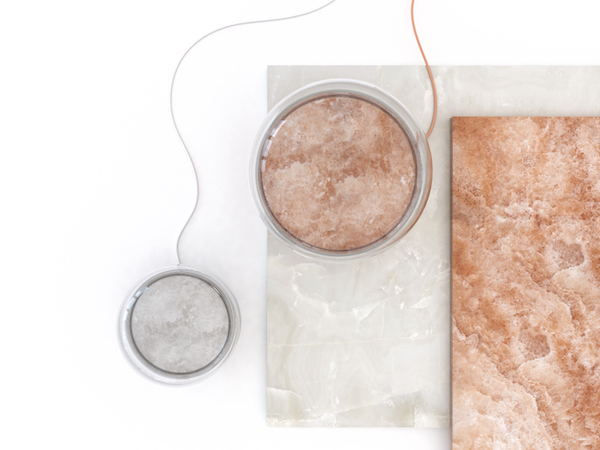 Concealed in an elegant flue-shaped marble base, the light source casts its gentle glow upward to energize the meandering chalcedony veins in the central onyx plate." 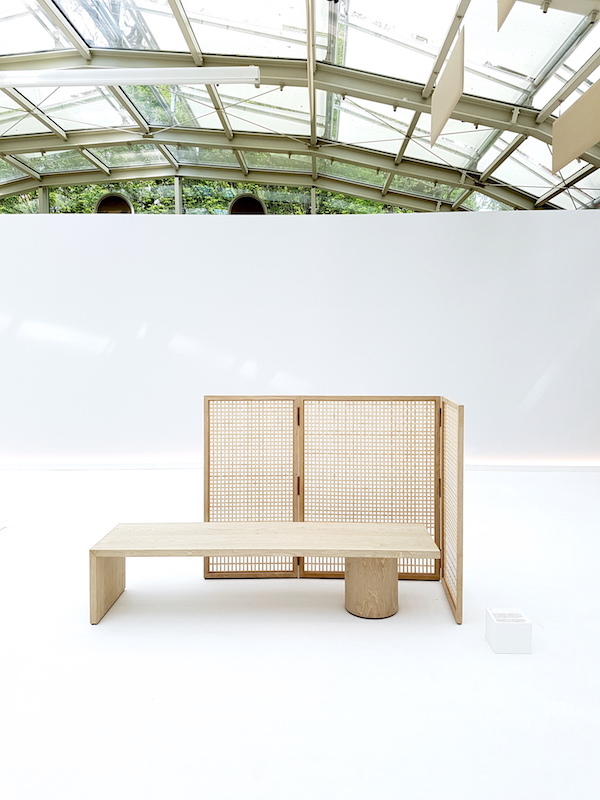 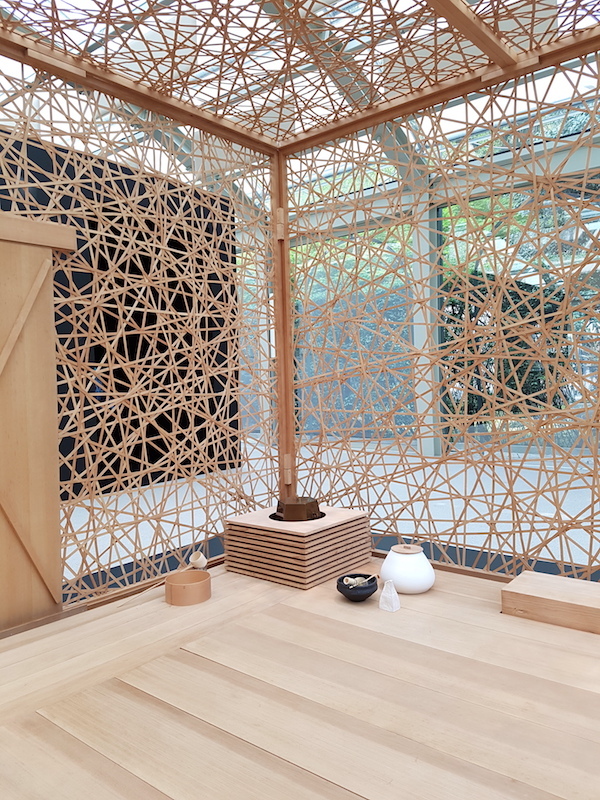 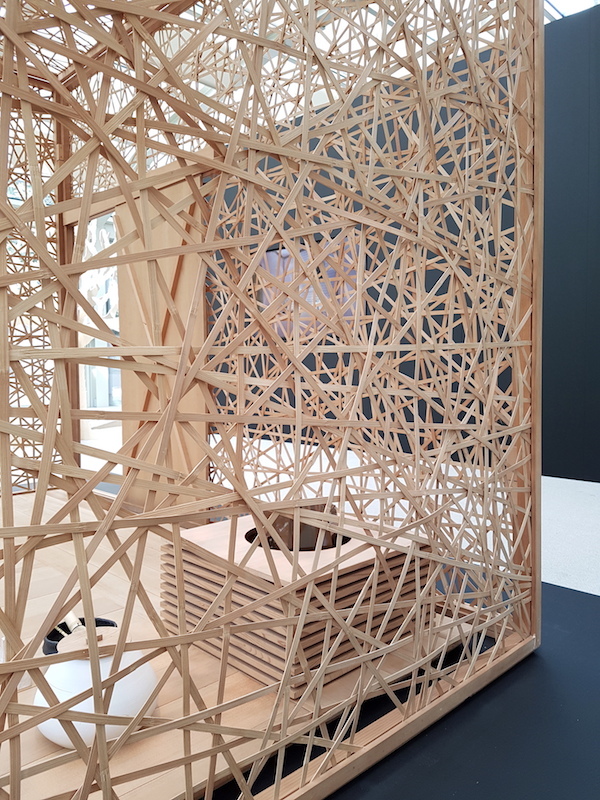 Wander from Within, an exhibition showcasing KHORA, the artisanal furniture collection designed by Adrian Cheng and Shigeru Uchida, inheriting the Spirit of Mindfulness and Japanese tea culture. 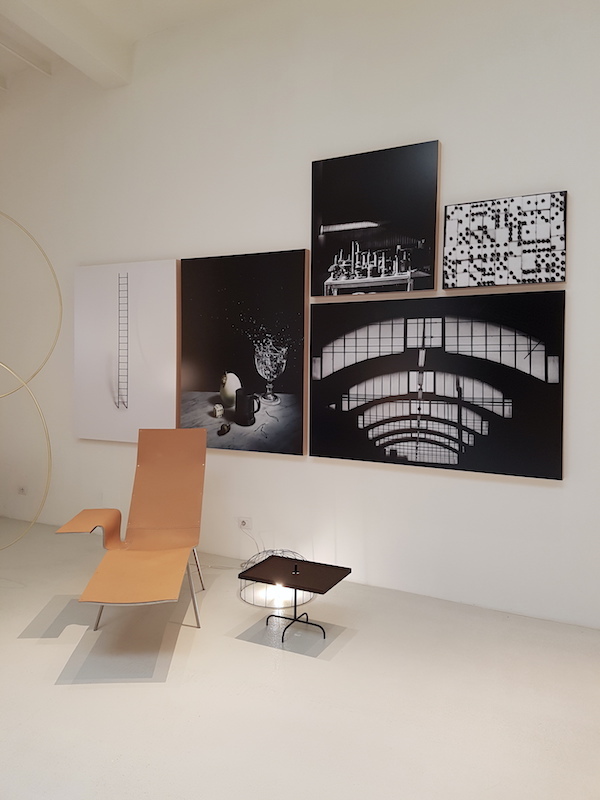 I was in Milan with Iris from C-More and Wen from Beeldsteil and we discovered the exhibition behind villa Necchi and it was truly one of my many highlights of Milan designweek. 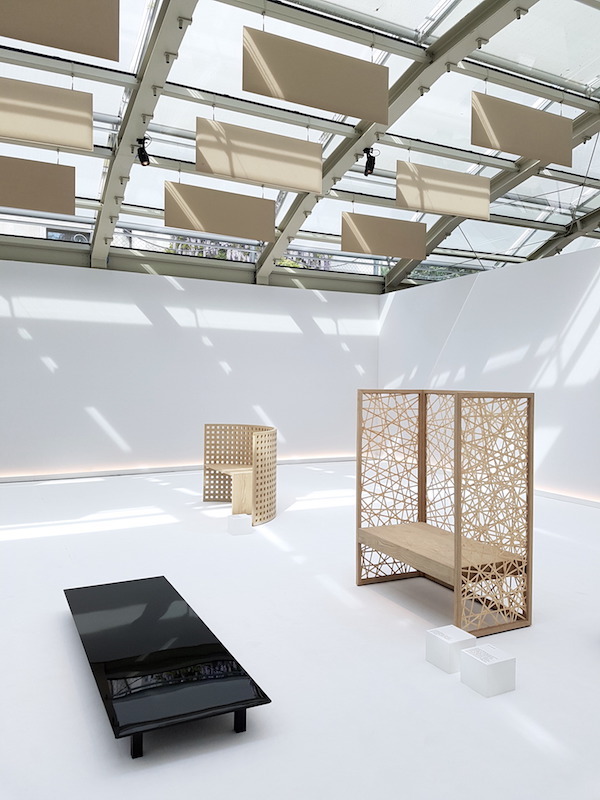 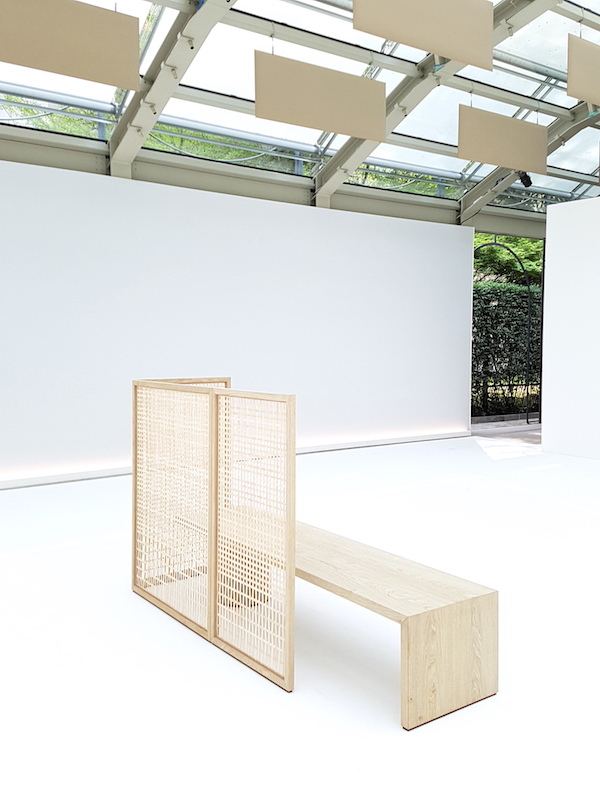 As if a walk through the garden of the villa where it really felt like Spring with the many flowers and the sun on our skins, and a coffee at the pool wasn't enough to relax, the exhibition with the beautiful wooden furniture in the all white environment was even more peaceful. 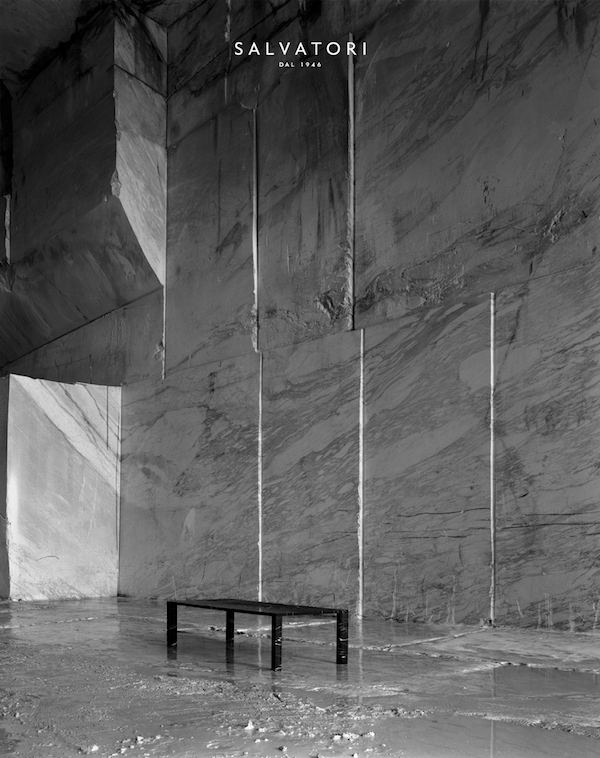 See a definition of Khora here and for the whole collection and more information have a look at Wander from Within. 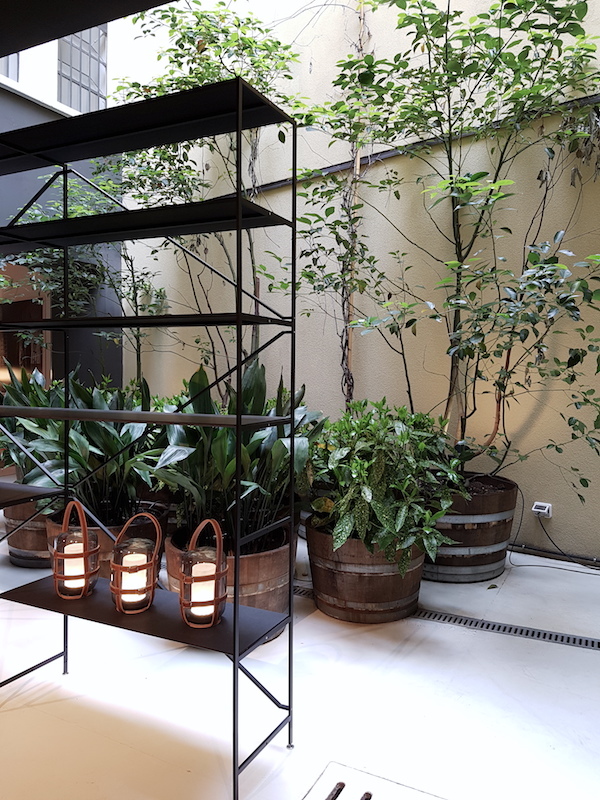 The day I wrote a post about my connection with Sardinia and how I used the island as an inspiration for my stand at IMM: BAM Design and Carnival traditions from Sardinia | imm 2017 I received an email from a girl who moved to Amsterdam and as a long time reader of my blog was really surprised to find out my connection with the Island she was born. 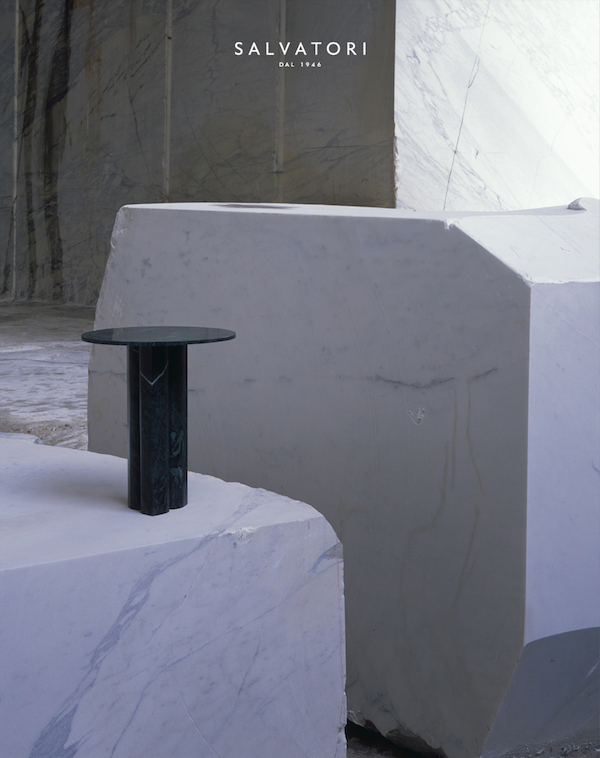 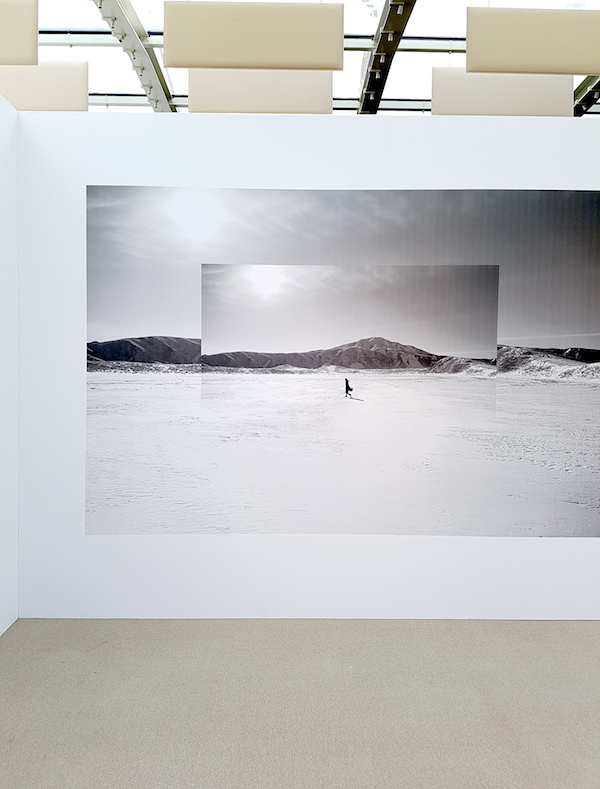 Not long after that we met and talking about her former job, she showed me the work of Caterina Frongia. 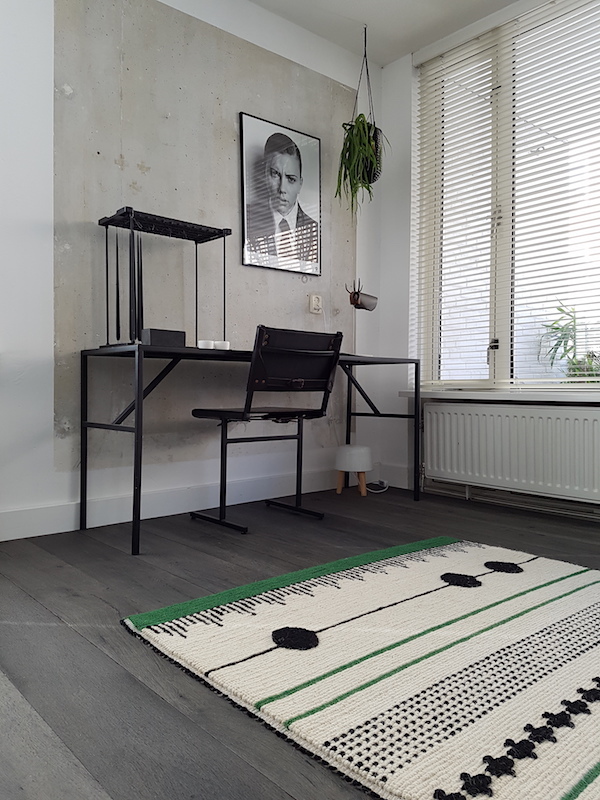 Caterina is a self-taught designer, who in 2005 created t-fish®, a small collection of rugs manufactured in Sardinia with the typical working technique of Sardinia rugs. 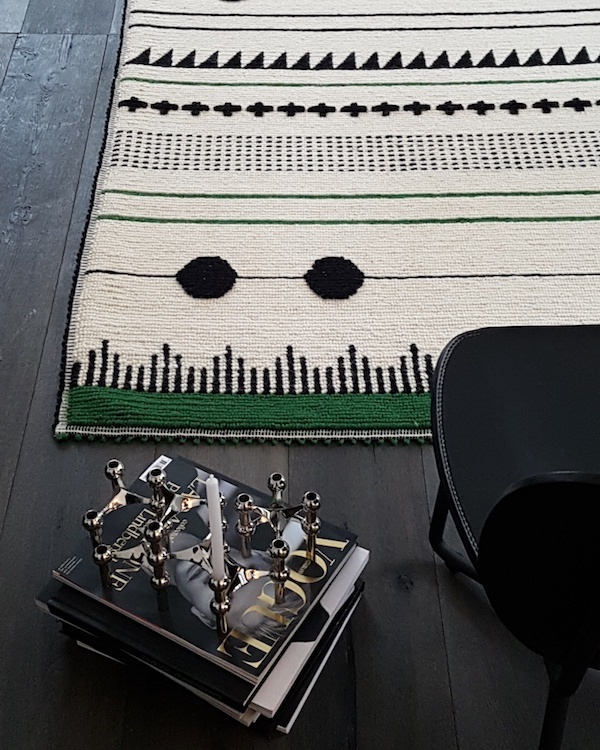 I was curious to see the rugs with my own eyes and was really happy to have the possibility to work with Caterina and see them in my own home. 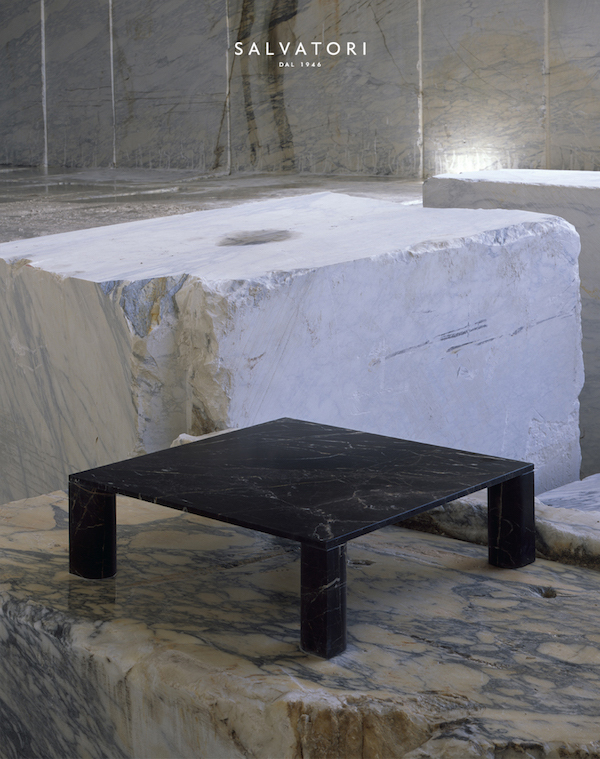 Not only do they perfectly fit the dark floor, they are beautifully handmade and super soft. 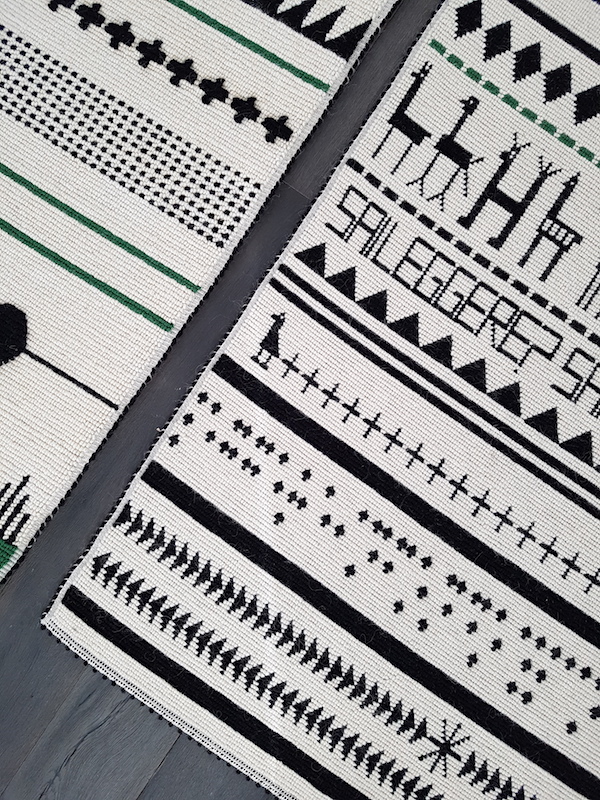 Sardinia has a long tradition of weaving and carpet making, and I remember the many small workshops in the village. 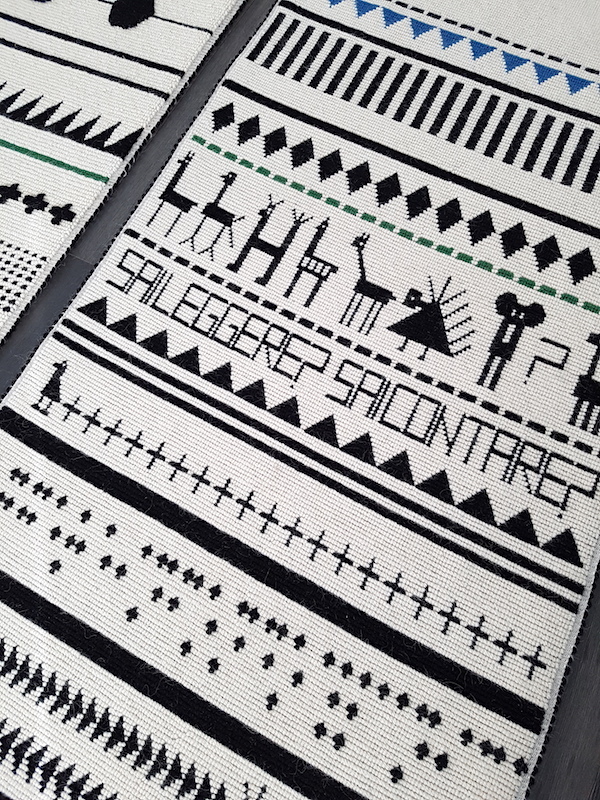 The rugs of Caterina are a contemporary interpretation of the original Sardinian rugs. 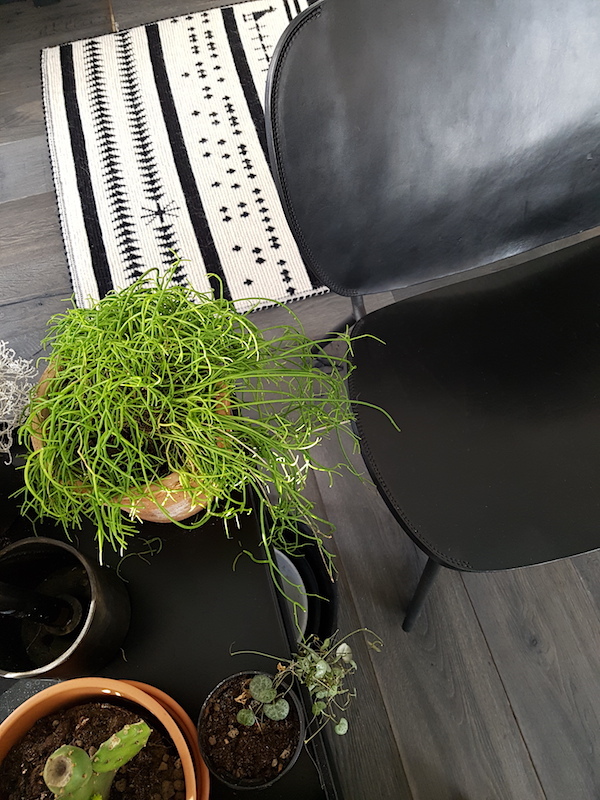 I choose for the overall black and white with some green and blue details, but the rugs come with many different colour accents and designs.